NAA, as a compound synthesized predominantly in neuronal mitochondria, has been extensively regarded as an indicator of neuronal function. Because NAA levels decline with functional deterioration and rise with therapy, the original interpretation of NAA has been revised to reflect neuronal function rather than solely neuron number. Other metabolites, such as Cr and mI, are present in varying content depending on cell type, but typically they are at higher concentrations in astrocytes. Thus, the combined parameter of NAA/Cr has been highly useful in the detection of seizure foci and prognostication of outcome in mesial temporal lobe epilepsy (mTLE), finding accuracy of 85-95+% for lateralization (3,4). 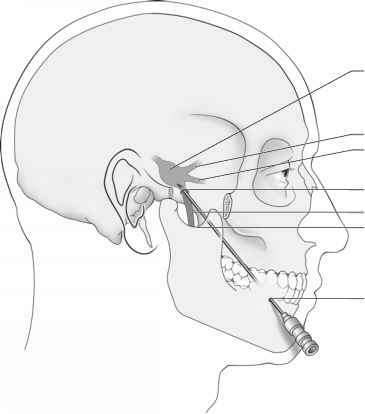 Additionally, quantitative application of the NAA/Cr ratio (rather than use of asymmetry indices) has demonstrated a relatively high incidence of bilateral hippocampal involvement (25-50%) in surgical TLE patients (3-5). Such findings, together with other PET anomalies showing multiple subcortical abnormalities, have contributed critically toward the pathophysiologic concept that temporal lobe epilepsy is characterized by dysfunction of a metabolic network, rather than aberration of a single focus. Finally, with the high concordance between electroencephalography (EEG) and MR spectroscopy, it is evident that MR spectroscopic imaging of NAA/Cr in the hippocampus is a highly sensitive and useful measure of neuronal damage and dysfunction. Two examples of the ability of 1H-MR spectroscopy to lateralize the damage seen in both temporal lobe and neocortical epilepsy are shown in Fig. 1, where the severity of abnormality of NAA/Cr is indicated by the outline (6,7). Fig. 1. Magnetic resonance images, structural and metabolic (NAA/Cr), from two epilepsy patients. (A) Image from a patient with bilateral hippocampal epilepsy shows highlighted abnormalities in both hippocampi, with the patient's left hippocampus more extensively involved than the right. Notably, the NAA/Cr thresholds used to define the regional abnormalities are set for cerebral gray and white matter tissue types; thus the cerebellar tissue is being detected as abnormal. (B) Images from a patient with a large occipital-parasagittal malformation (arrow). The NAA/Cr image (far right) is able to localize the region of neuronal dysfunction primarily to the parasagittal gray matter. Data from refs. 5 and 6, permission provided by HP Hetherington. tivity of the 31P nucleus results in relatively poorer spatial resolution than is available by means of 1H-MR spectroscopy. At present, most clinical systems are devoted to detecting only 1H signals; thus, it is primarily research-level systems that have the hardware for detecting 31P or 13C. Nonetheless, the combined assessment of ATP, PCr, and inorganic phosphate remains a very important tissue parameter for questions of bioen-ergetic status. With improvements in data acquisition and analysis, the utilization of 31P spectroscopy has increased and has been implemented recently to evaluate the network hypothesis of temporal lobe epilepsy. The present spatial resolution of research grade systems is 12 cm3 (6), and this is likely to improve further in the future. Top Low Carb Internet Guru Speaks Out. An Open Letter To Anyone Who Wants To Lose Up To 20 Pounds In 30 Days The 'Low Carb' Way. 30-Day Low Carb Diet 'Ketosis Plan' has already helped scores of people lose their excess pounds and inches faster and easier than they ever thought possible. 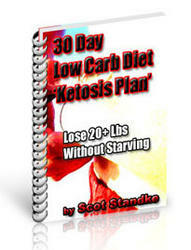 Why not find out what 30-Day Low Carb Diet 'Ketosis Plan' can do for you by trying it out for yourself.